June 21, 2006, L. G. Crabo. 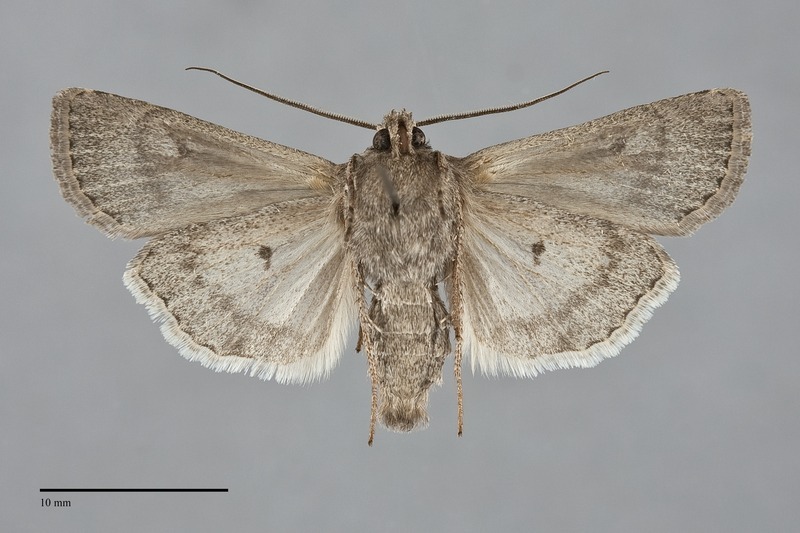 Euxoa furtivus is a medium-sized Euxoa (FW length 15–18 mm) with gray-tan forewings, pale costal margin and cubital vein, and a series of black wedges at the subterminal line that flies in steppe habitats during early summer. It is medium-dark gray-tan or tan, with dark shading along the veins in the median area and on the distal wing. The cell is darker brown. Streaky paler tan, gray, or silvery gray is present on the costa, fading by the postmedial line. The cubital vein is similar light colored, usually extending along proximal branches M3, CuA1, and CuA2. The terminal area is gray, sometimes with black between the veins. A black basal dash is variable, weak, thin, or thick. The transverse lines are weak. The basal line is reduced to spots on the costa in a few specimens but is usually absent. Most specimens have an oblique black segment of the antemedial line at the base of the claviform spot. The medial line is absent. The postmedial line is absent of weak, lightly scalloped, curved around the reniform spot and then straight or slightly concave at a 45° angle toward the base. The subterminal line is ochre, tan, or gray, powdery and often incomplete, slightly irregular with an offset below the apex and a weak W-mark on the mid-wing. It is preceded by a grayshade at the costa and a series of long black wedges on the mid-wing. The terminal line is dark, thin. The fringe matches the ground color. The orbicular and reniform spots are outlined in dark gray or black, are lined with light gray or light tan, and filled with slightly darker gray or the ground color. The orbicular spot is round or oval, small to moderate in size, complete or open anteriorly. The reniform spot is kidney-shaped, obscured at the lower end by the pale cubital vein. The claviform spot is black, weak, moderate-sized and narrow. 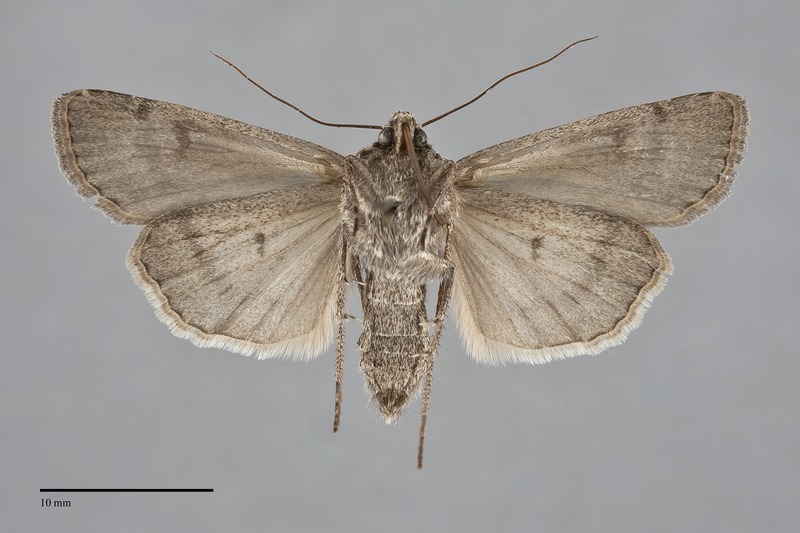 The hindwing is medium-dark brown-gray with slightly darker outer half, discal spot, veins, and terminal line. The fringe is white with a darker base. The head and thorax are gray-brown or tan. The collar has a light base and a transverse black line across the mid-portion. A frontal tubercle is present. The male antenna is biserrate. Euxoa idahoensis is a member of the large subgenus Euxoa. 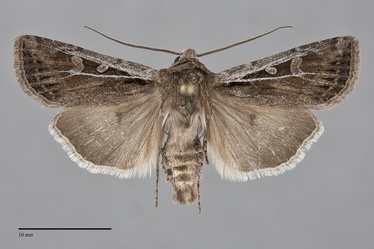 Euxoa furtivus can usually be recognized by its early summer flight, the tan forewing color, light costa and cubital vein, and long black wedges in the subterminal area. It is most similar to Euxoa idahoensis and was confused with it until recently (Schmidt & Anweiler 2010). Euxoa furtivus can usually be recognized by its streakier pattern, pale branches of the cubital vein, and the row of black wedges near the subterminal line. The forewing spots of E. furtivus are more often dark-filled than those of E. idahoensis. Euxoa melura flies with E. furtivus in open steppe habitats in early summer and has a similar streaky wing with light veins. 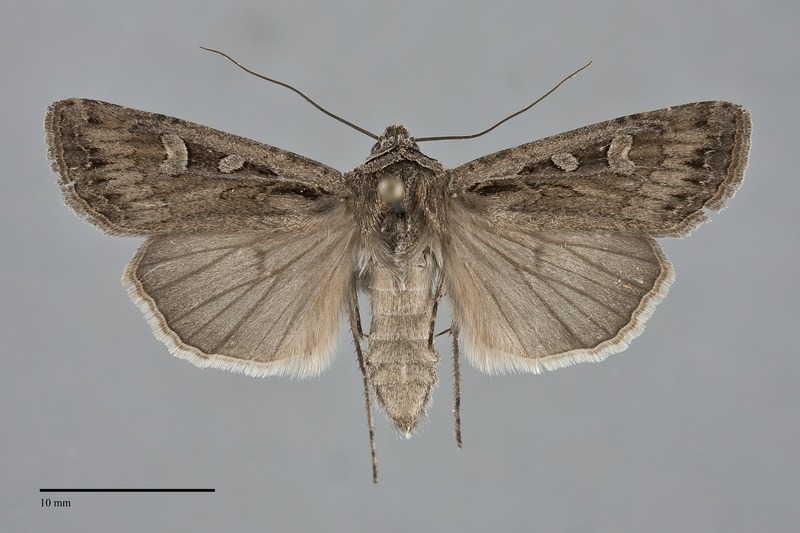 The terminal area of the forewing of E. melura is light brown-gray like the trailing margin, darker gray in E. furtivus, and the pale inner lining of its spots is usually paler, thinner, and more prominent. This species flies in dry juniper woodlands and sagebrush steppe at middle to low elevations east of the Cascades. It favors more disturbed rangelands that are heavily grazed by livestock, sometimes reaching epidemic outbreaks, but is rare in sagebrush steppe that has been burned. It is particularly common to abundant in moist sagebrush steppe near marshes or riparian zones, and is very common across all rangelands during wet years. Numbers of this species have been observed to drop sharply during droughts. Euxoa furtivus also occurs on barren serpentine ridgetops in the Siskiyou Mountains of southwestern Oregon. Euxoa furtivus is found in the dry interior regions of the Pacific Northwest at least as far north as southern British Columbia. It is found throughout eastern Oregon, eastern Washington, and central and southern Idaho. An apparently disjunct population is present in the Siskiyou Mountains of southwest Oregon. It is absent from other locations west of the Cascade Mountains. The eastern range of this species includes western Alberta, Wyoming, and Colorado. It is widespread in Utah, Nevada, and east-central California. Adults fly from late spring throught the summer, usually slightly earlier than E. idahoensis. Specimens from the Pacific Northwest have been collected from late May to early August. They are nocturnal and come to lights.